There are currently 13 homes for sale in the Lancaster Gate community, meaning there is a possibility to own 13 homes which are on the real estate market right now. There are currently 4 homes under contract and in escrow to close in Lancaster Gate. If you're looking to view and purchase homes in Fredericksburg Virginia, you can also view 100's of homes for sale, here. 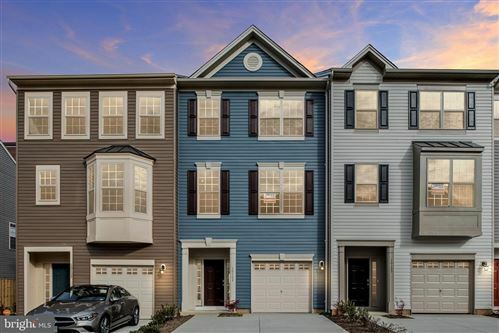 There are currently over 1,000 homes for sale in Fredericksburg, VA. Search over 800 homes, quickly and easily with pictures, addresses, and information. Are you a current Lancaster Gate homeowner and are curious as to how much your single family home or your town home may appraise and sell for. We can help. Visit http://www.CrewsRealEstate.com/sell to register for a complete list of most recent home sales as well as receive your home's appraised value range. Here's one of the biggest questions and concerns for Lancaster Gatehomeowners: "How will the fall and winter months affect home sales and home values within our community"? Here's the good news, We have seen 10 straight months of listing price increases on home prices in Fredericksburg Virginia and don’t expect things to slow down anytime soon. If you are considering buying a home you can still find deals on a house in Lancaster Gate Community but having a good real estate agent who understands the market is a must. Don’t wait on the sidelines for too long, many of our listings are starting to sell within a few days of hitting the market. As you can see from the graph below, listings are not selling exactly for asking price. To make sure you don't overpay for your home, you'll want to have an agent that does a thorough market analysis of the Fredericksburg home on which you are making an offer. The median list price in June for single family homes in Fredericksburg Virginia is $321,570, 37 Days on Market, 131 Active Listings, 6.1% distressed properties for sale on the market. The number of active listings in Fredericksburg (22408) increased by14.2% from the previous month. The median number of days active properties have been listed is 37. This is significantly shorter than the national average. The number of sales in March dropped by 64.3% from the previous month..
Visit my website to search homes for sale in Lancaster Gate and in Fredericksburg Virginia or to be notified when Woodbrige homes come on the market.